My dear sister in the Lord, Diane from Theology for Girls, is here today to share with us about prayer. Thank you, thank you, thank you, Diane! When Becky blessed me with the honor of writing today’s blog for Daily on My Way To Heaven on the subject of prayer, I began contemplating the various elements involved in prayer. As well, the pattern or structure of how we ought to commune with God should be considered. Truly, volumes have been written on both counts. Certainly, when we think of an appropriate blueprint for prayer, our usual consideration draws us to the greatest model set forth in Scripture by our Lord when he instructed his disciples how to pray in Matthew 6. A second important example would be Christ’s high priestly prayer with the Father in John 17. As I compared both of these passages I noticed that the predominant themes were exaltation of God the Father and the Son. These prayers also reflect the Psalms which are replete with the adoration of God. 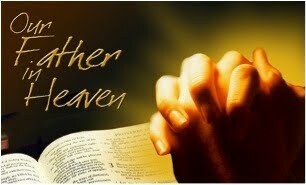 In both prayers our Lord begins by addressing God as Father. In Matthew, Christ emphasizes the holiness of God’s name and in John He emphasis the glorification of Himself by the Father. Both prayers close with a focus on the glory of God the Father (Mt) and of God the Son. (Jn). Requests on our behalf for our spiritual and temporal needs are sandwiched between these magnifications of God’s glory and holiness. When we shift gears in prayer from our adoration of God to confession, thanksgiving, and supplication we understand that God intimately cares for us as a loving heavenly Father. He has instructed us how to pray about our needs, yet we must keep in mind that God’s glory should be foremost in our petitions for ourselves and for others. The church today has been swallowed up by self-absorption. An Arminian view of Scripture saturating our theology for more than a hundred years has resulted in an approach to God that has become increasingly man centered. Our prayer and worship has become more self gratifying than God glorifying which is reflected in the way we pray and also in much of our modern Christian music. We hardly know how to sing or speak to God without using the word “I” in every phrase. Just by way of exercise, we might want to try praying for 30 minutes without using the words “I, me, or my”. Furthermore, the name of Jesus Christ has been denigrated not only by those outside the church but by those within. A Google search of “Jesus Is My Homeboy” pulled up more than 98,000 hits, many titles being so blasphemous I was sorry I had clicked on it. In conclusion, when we come to our great God in prayer, let us first address Him as Father with adoration for His Holy name. We must not come to Him with an attitude of improper familiarity. He is our Friend but He not our “buddy”. He is our Holy Father and we are indeed privileged to address him as such. We should passionately pray that His will would be accomplished and His glory pronounced. Let us bring our petitions to Him with boldness bathed in humility. Finally, we should conclude our special time of communion by invoking the precious name of Jesus.